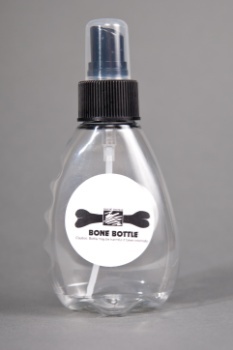 Our Bone Bottle is used to fill with water which has a fine mist spray action to activate the surface for our premium trombone slide cream. The bottle is an easy to handle 4oz container with finger grooves molded in the bottle and comes with a fine mist sprayer. Here at Roche-Thomas we are proud to say that ALL aspects of our products are manufactured in the USA so you know you are purchasing the finest products on the market.